Don´t give things, give an experience! Our gift vouchers can be bought now online and you can use them to reserve any of our excursions. When buying a voucher, please choose the first available date from the booking calendar (which should be today´s date). The validity of the vouchers is 6 months since the day thay have been issued and they are non-refundable. If you didn't find your requested value or combination of excursions under the booking calendar, send us an email. The vouchers can be bought online, by email or by phone. After the purchase you will receive a personalized gift voucher by email (within few hours), that you can print and give to your lucky person. For an extra charge of 3 € the vouchers can be delivered by registered mail to your address. Every voucher has a unique promo code. This code can be used when doing your reservation online. Our gift vouchers have a validity of 6 months and are non refundable. 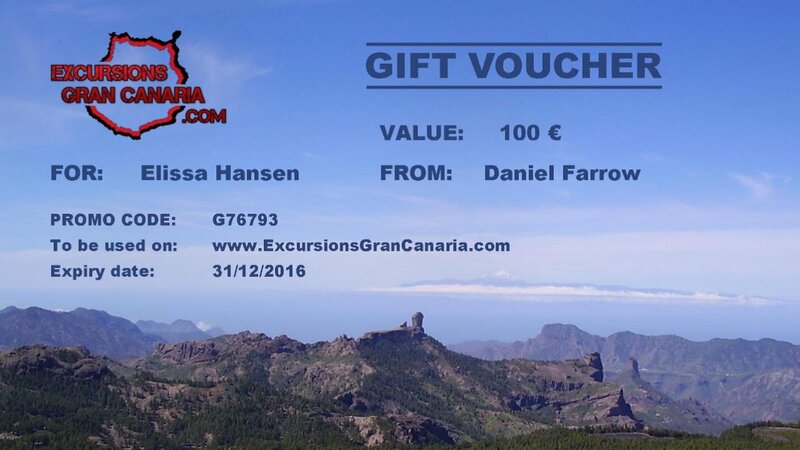 The use of the vouchers always depend on the actual availibility of the excursion visible in the booking calendar of each excursion.